Our Cut-n-Break method is the natural choice when you need to cut deep without over cutting at the corners. 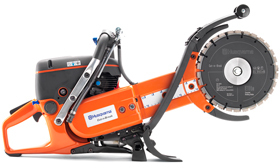 The K 760 Cut-n-Break enables you to cut as deep as 16″ from one side. The two high-speed blades make a core in the saw cut, which can then easily be broken off using the accompanying breaking tool. This way you easily work your way through the material, at a very low diamond tool and maintenance cost. Cost-Efficient Cutting Method – With the unique cut-n-break method you can work your way through the material step-by step at a low tool cost. High Performing Blades – Twin blades, with a very stable core and cutting performance are delivered with the machine. 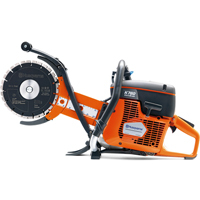 Exceptional Cutting Depth – The long body and double cutting blades allow you to make cuts up to 16″ deep. Optimized Engine Performance – Optimized engine performance through efficient cylinder design, digital ignition system and X-Torq® engine technology. Easy to Start – The unique design of the carburetor, cylinder and digital ignition system, together with air purge and decompression valve, ensure an easy start.